Owning a classic car can be a great investment and a great way to spend your time, but if you're considering getting one, the maintenance may not be as difficult as you may think. 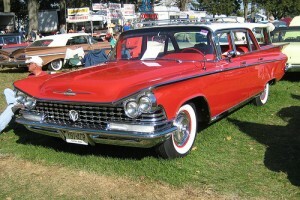 NC Synthetic has put together a few steps to get you on your way to maintaining a classic car. If your classic car is just too priceless to be your regular car, then it's likely that it's stored away for extended periods of time. Find a place where your car is protected from the elements but is also exposed to a constant flow of fresh air. If you must store your car outside, invest in a high quality car cover that provides complete coverage. While your classic car may not have many electronics, if left attached, your battery can start to drain leaving you in need of constant jump-starts. If you can, give the car a start each week to keep the battery charged and prevent any loss. Fuel and conventional oils aren't designed to be left idle for extended periods of time. If it's been more than a month since you started your engine, consider changing your fuel. In addition, utilizing a high quality Amsoil Oil in Raleigh can be a good way to give your engine immediate protection when you do start it. Speak with an expert here at NC Synthetic on (919) 624-2934 about how using synthetic in your ride can extend the life of your engine and help keep it clean. Synthetic oils and additives can be a great advantage to your ride, keeping it protected and lubricated.